The Hawaiian islands are usually synonymous with vacation destinations and beaches. The idea to visit Hawaii and recharge from life in the form of relaxation for an amazing vacation is something we all are familiar to us all. Hawaii has many things to offer visitors, such as culture, ecological diversity, geologic scenery and amazing people, but the image of Hawaiian beaches trigger the desire to visit. 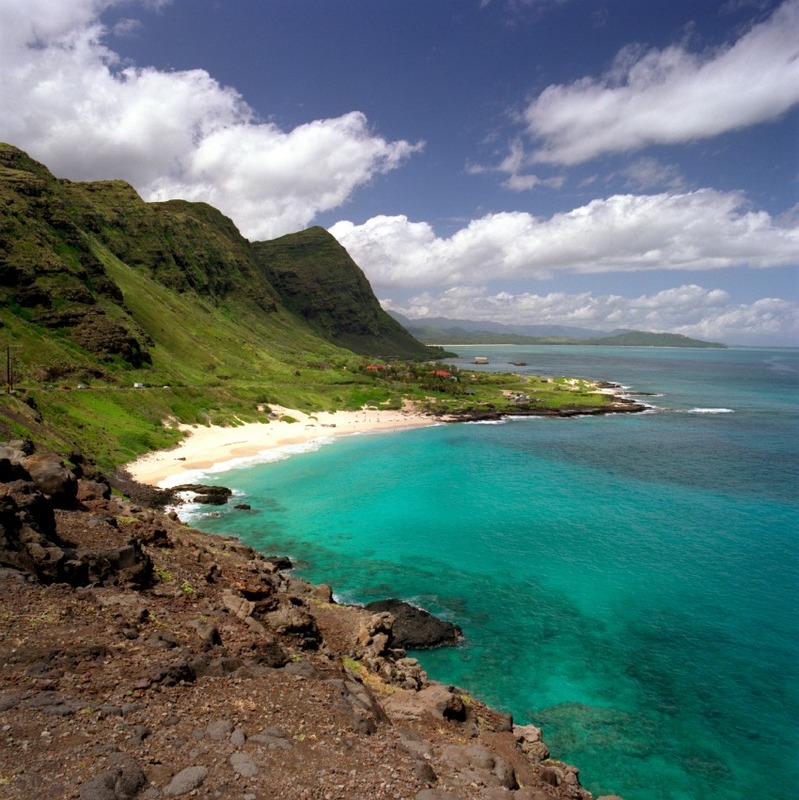 Hawaii provides a wide range of beaches for one to explore. There are white sand beaches, black sand beaches, rocky shore line beaches, secluded beaches and resort like beaches. Each beach type offers something for everyone. This is one of the beauty in Hawaiian beaches, the wide variety of beach types to custom fit your needs. Planning any vacation takes research to maximize your time away from home. When confronted with the variety of options to consider in Hawaii, such as which island(s) to visit, which region within the island suits your desires, and making sure to know just enough information to make necessary decisions, this post will help narrow your selection. Whether it’s for planning or day dreaming, here are a list of Hawaii beaches to make sure you visit next. White sand swimming beaches, village ponds, centuries old rock etchings and a resort hotel all make up part of Anaeho’omalu Beach. If this beach is just the start of your journey, surrounding beaches are worth visiting as well. 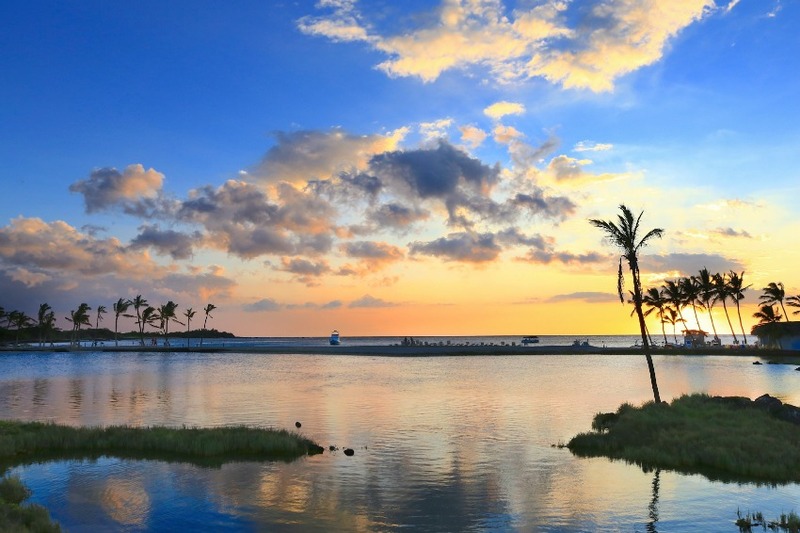 Even with these options, Aneho’omalu is worth your time and a strong candidate for sunset walks. Green Sand Beach is one of The Big Island’s unique beaches. 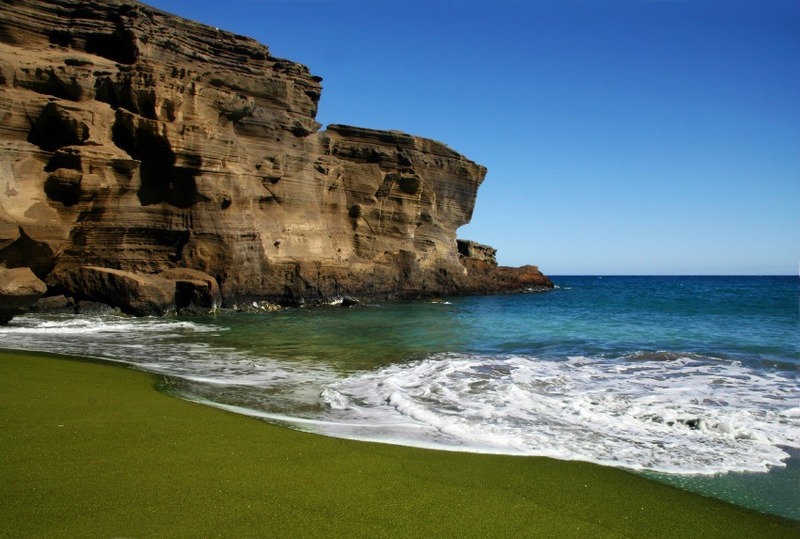 As white sand beach dominates our vision for most beaches, although this beach, appropriately named, has green sand. The visual overview of this beach alone is worth the trip. Access to the beach is not as easy as some beaches so having a quiet day on this beach is likely. What a way to spend a day. 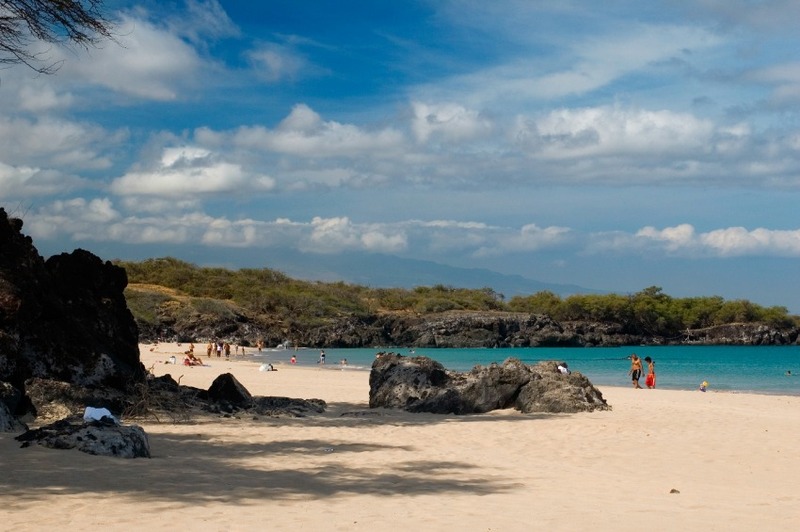 In contrast to Green Sand Beach, Hapuna Beach represents a beautiful white sands beach. 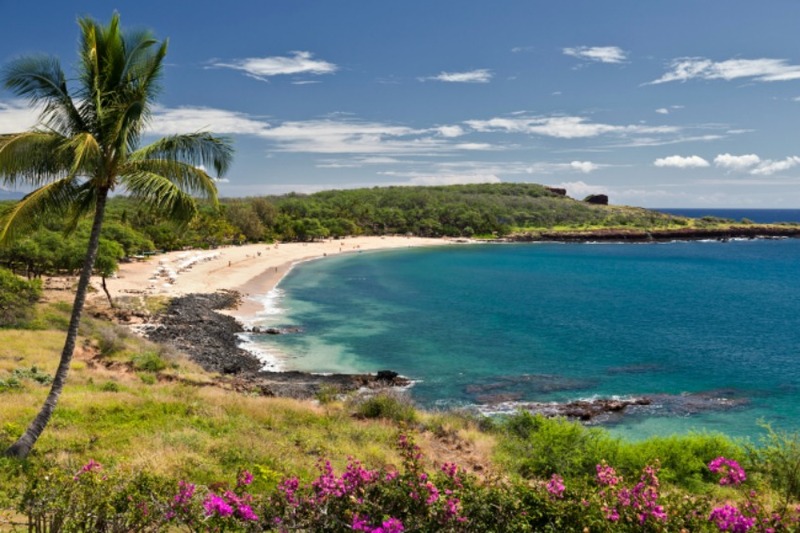 Hapuna beach has it all, opportunities for swimming, snorkeling, surfing, and hiking trails to other beaches. This could be a classic “one stop beach” for a couple days. Another bonus is the region Hapuna is in, has a drier climate. Anini Beach marks one of the spots you can access Hawai’i’s longest coral reef. It goes without saying that your water sport opportunities can be found here. If relaxing is on your mind, Anini Beach can also accommodate those needs. If you’re in the mood for a short hike, there are several options you can explore here. Some trails will lead you to other beaches as well. As with Kauai’s Green Sand Beach, Honokalani boasts one of Hawai’i’s black sand beaches. 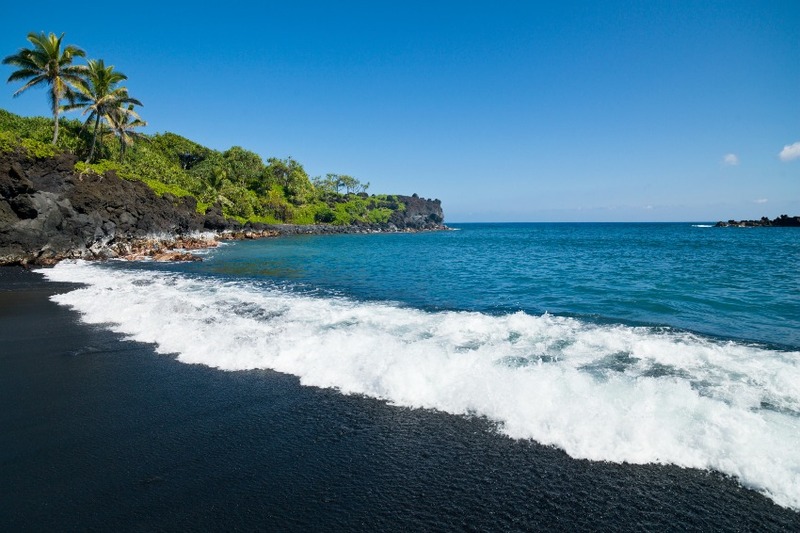 Honokalani Black Sand Beach is a sharp contrast to most beaches you are accustomed to. This fact alone warrants a visit on this beach to marvel in the unique features of this beach. The origin of the black sands is a result of eroding volcanic material just hundreds of years old. One of Lanai’s most accessible beach spot, Manele Bay is known for easy access, a marine preserve, snorkeling and diving. Don’t let the popularity of this bay deter you from visiting and enjoying the beauty it offers. Relax on the beach and have a picnic. You’re still on a beautiful beach. One of Oahu’s best known beaches. If the title itself does not itch your curiosity, the title extends out to one of the world’s best beaches. 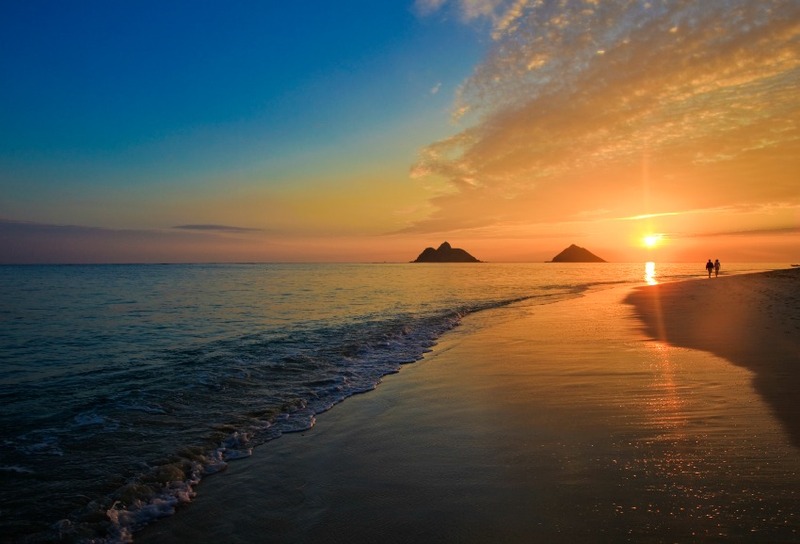 This list of Hawaiian beaches could not be complete without mentioning Lanikai Beach. Calm, blue waters will welcome you once you arrive to Lanikai Beach. Makaha Beach (Makaha Beach Park) is a wide open beach with access to swimming and surfing (check conditions before you enter). 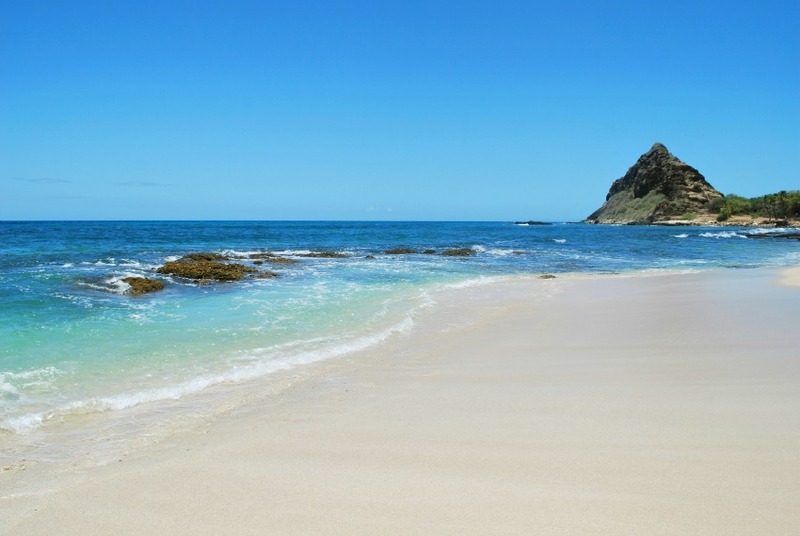 As it is one of Oahu’s more popular beaches, it rarely gets crowded. 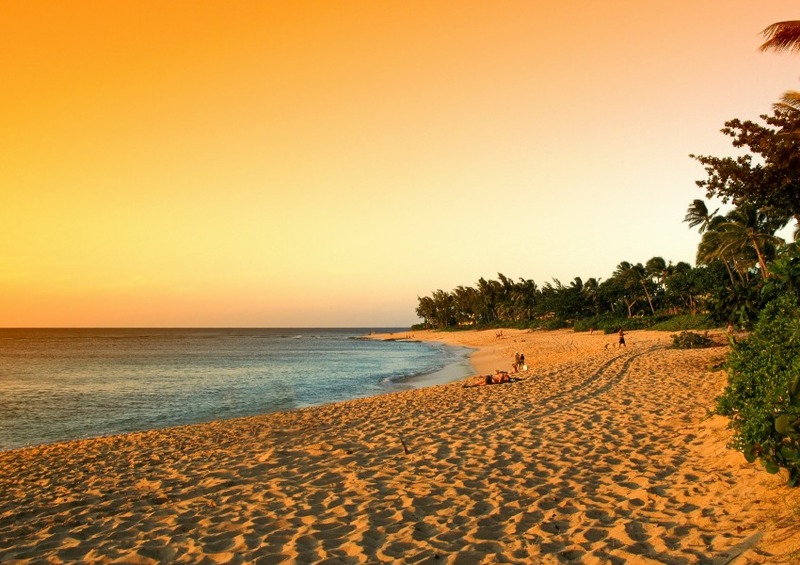 Makaha Beach also welcomes you to picnic, relax, stroll down the beach, and play in the water. Surrounded by sea cliffs, Makapu’u Beach as year round surf. This is a great spot if you are looking to ride the waves and be a spectator for the folks riding the waves. As leisurely swimming is not the best option on this beach, it’s still a beach with the sounds of crashing water and spectacular scenery. If you’re up for it, take the short hike to the Makapu’u Lighthouse. Isolating one specific beach on the north shores of Oahu was not possible. This region is home to world class surf breaks. If surfing is not your sport, there are many beaches to check out for calm waters and enjoying the sun. 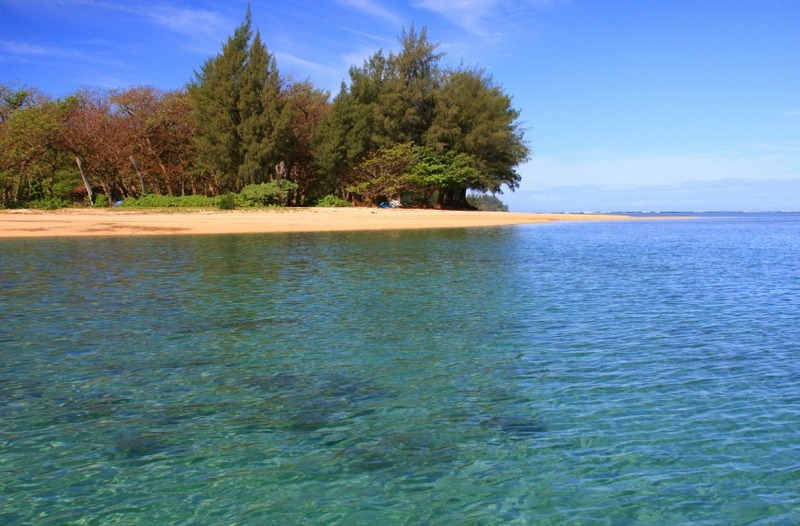 From Turtle Bay to Ehukai Beach, the personality of each beach will amaze you. Definitely a great Hawaii vacation destination. The islands of Hawai’i not only offers amazing coast line and beaches, the culture compliments the experience above and beyond. In a single day, one can recharge on the beach, view amazing marine life, hike spectacular volcanic mysteries, and learn about the amazing history the islands have to offer. The range of possibilities is difficult to match in other spots of the world. 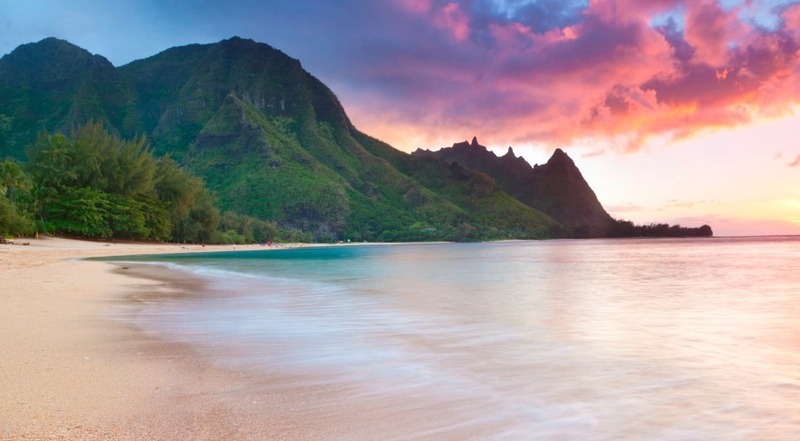 If you have not been, put Hawai’i down on your bucket list. If you have visited already, what’s keeping you from another visit?